A register for risk assessors has been recently established by The Society of Brownfield Risk Assessment (SoBRA). Registration is open to those who can demonstrate that they are capable of carrying out and reviewing land contamination risk assessments without supervision. The aim of the register is to raise the standard of risk assessment, enhance the status of risk assessors and give a standardised means to demonstrate competency. There are two grades of registration with SoBRA. A practitioner can be simply registered as a Risk Assessor with SoBRA (RSoBRA), which implies that they can carry out routine risk assessments without supervision. The SoBRA website states that a practitioner with RSoBRA registration is likely to be considered to be a National Planning Policy Framework (NPPF) ‘competent person’ with respect to generic quantitative risk assessment (GQRA). More senior staff can become a Fully Accredited Member of SoBRA (ASoBRA), which implies a thorough knowledge of risk assessment issues, along with significant experience in carrying out or reviewing GQRA and DQRA (generic and detailed quantitative risk assessments). The scheme is mainly concerned with ensuring that risk assessors have the technical competence to carry out assessments, but they are also expected to be aware of the wider context of the impact of risk assessments on land management. Once on the register, risk assessors are expected to keep records of their continuing professional development (CPD) activities, so that they can demonstrate that they are keeping their knowledge up to scratch. SoBRA state on their website that those who no longer produce risk assessments, but merely review them, should still be eligible for registration, provided they can demonstrate their CPD is up to date. In addition to carrying out or reviewing risk assessments, a wide range of relevant activities can contribute to CPD, including attending conferences, serving on committees and providing advice to regulators. The SoBRA scheme is designed to fit in with the existing Land Condition Skills Development Framework (LCSDF) run by the Specialist in Land Condition (SiLC) Registration Scheme, which is sponsored by the Homes and Communities Agency. Instructions on how to apply for these qualifications are given on the SoBRA website. Applicants need to submit their CV and a report concerning the work they have carried out over the years, in order to demonstrate their experience. The report must be signed by at least two professional referees, who are aware of the work detailed within it and can confirm that the applicant carried it out as stated. Applicants will also need to attend an interview of about one hour, in order to further demonstrate that they possess the relevant knowledge and skills. Membership of a relevant professional body is considered desirable for RSoBRA, while chartered status from a relevant professional body is expected for ASoBRA (although the latter rule will be relaxed to just membership in exceptional circumstances). According to the SoBRA website, the first round of interviews are expected to take place in February 2017. The application fee for registration has been set at £100, with an annual £50 fee thereafter, which also includes SoBRA membership. Registration is valid for three years, after which revalidation is required and updated documents need to be submitted. However, normally an interview will not be needed for revalidation. What is the relation of the SoBRA award to QMLC? Additionally, the National Quality Mark Scheme for Land affected by Contamination (QMLC) is currently being developed by The Land Forum (a public / private partnership organization), for assessing potentially contaminated land. Under this scheme, a ‘suitably qualified person’ (SQP) will be required to sign off land contamination risk assessment reports. The Land Forum was developed from the public / private organization the National Brownfield Forum, not to be confused with SoBRA. As it is not practical to insist that SQPs be experts in all the disciplines needed to assess land contamination, they need to ensure that those contributing to any reports are competent in the fields concerned. All SQPs will be expected to check that the work has been carried out by competent people, with relevant experience and / or qualifications in the areas concerned. It is envisaged that the SoBRA scheme will enable risk assessors to demonstrate their competence to SQPs. 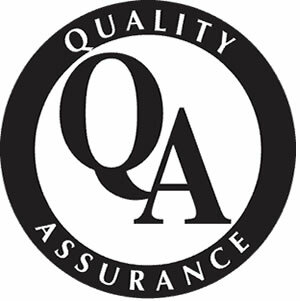 Once the QMLC scheme is up and running, documents approved by an SQP will display the quality mark. An SQP may be employed in-house by a developer, or brought in as an external consultant. It is hoped that the new scheme will help developers avoid unnecessary intervention from regulatory bodies, such as the Environment Agency. SoBRA is a not-for-profit learned society membership organization established in 2009. It runs regular meetings concerned with land affected by contamination. Members are all individuals, rather than companies or other organisations; they may work in the private, public or voluntary sectors. A governing committee is elected by the membership. Since its formation, it has set up a number of sub-groups to look at various issues. The register for risk assessors was developed by the Accreditation Sub-Group. The quality of risk assessments with regard to potentially contaminated land varies widely. It is important for developers to employ competent professionals who work to high standards. So anything that helps to identify and increase competence should be warmly welcomed. In practice, however, many of those carrying out risk assessments are already members of one or more existing professional bodies. Further fees may not be perceived a burden. Currently, the maze of organizations, qualifications and acronyms is potentially bewildering to outside parties wishing engage land contamination risk assessors. However, there can be no doubt that we as an industry must seek to raise minimum standards of service in order to ensure risk assessments across the board are fit for purpose. It seems logical that ultimately, one of the above schemes will achieve relative prominence, and with it, share of mind with clients and/or consultants.